Jacob has been on the road the last week and a half. 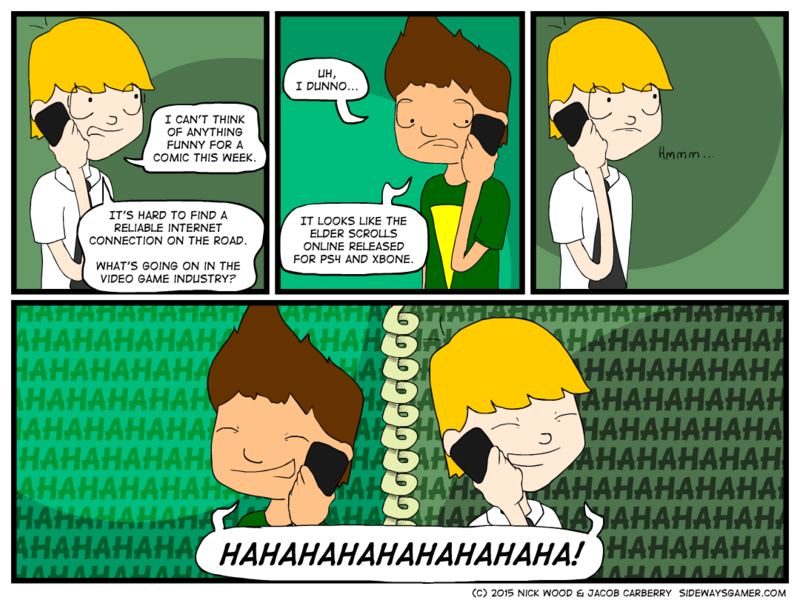 Ironically, Jacob tried sending me this comic and had issues thanks to spotty internet. Also, I had a friend ask what I thought of ESO. I think this answers that.